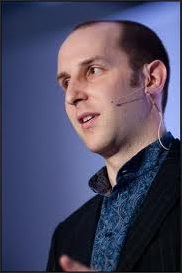 Benjamin Joffe is a Beijing based blogger, entrepreneur and consultant. With years of experience behind him in the internet, mobile industry, e-commerce and social networks in Asia, Benjamin Joffe gives his insight into the differences between social networks in the US and Asia. Benjamin also gives an interesting perspective on how QQ turned an online social network into a paying business model, and his advice to those hoping to enter the Chinese market. His focus is on innovation, especially business models, and adaptation to local ecosystems (“digital darwinism”). Benjamin Joffe spoke already at 100 events in 17 countries. Benjamin has lived in China, Japan and South Korea for over 10 years and is the founder of the Asia-focused research and strategy consultancy +8* (Plus Eight Star). The company has served clients including large MNCs such as Microsoft and Adidas as well as prominent startups such as IMVU, Tumblr, Kabam, Layar and Mig33. Benjamin is a regular speaker at international conferences on the topics of social networks, virtual goods, Asia and innovation. He is the founder of Mobile Monday in Beijing and an angel investor in Cmune (global leader in 3D social games) and MyGengo (online platform for human translation).